Raise a glass, fans of Natasha, Pierre & The Great Comet of 1812. The Broadway cast of Dave Malloy's cult fave will release a cast recording. Featuring the vocals of leading lady Denée Benton and music super star Josh Groban, the Reprise Records album will be available on May 19. The musical celebrated an extended engagement at Kazino, a Russian supper club built especially for the show—first in the Meatpacking District, then midtown at the Ars Nova Theater in 2012. It played its final performance on March 2, 2014. The production starred Hamilton Tony nominee Phillipa Soo as Natasha, who can be heard on the off-Broadway cast recording. Directed by Rachel Chavkin, Great Comet is currently playing at Broadway's Imperial Theatre. In addition to Benton and Groban, the cast features Brittain Ashford, Lucas Steele, Gelsey Bell, Nicholas Belton, Nick Choksi, Amber Gray, Grace McLean and Paul Pinto. 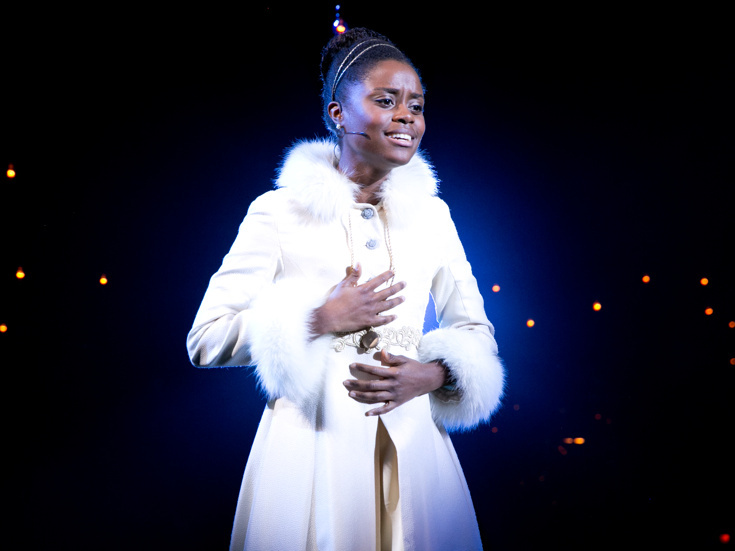 Great Comet follows follows Natasha (Benton), a young girl who forms a relationship with the attractive rebel Anatole (Steele) while her betrothed Andrey (Belton) is off fighting. Andrey's best friend Pierre (Groban) remains on high alert as the new romance blossoms.